It should come as no surprise to regular readers that the risk of a recession is rising. Especially based on my thoughts on a slowdown in economic growth on a year-over-year basis. 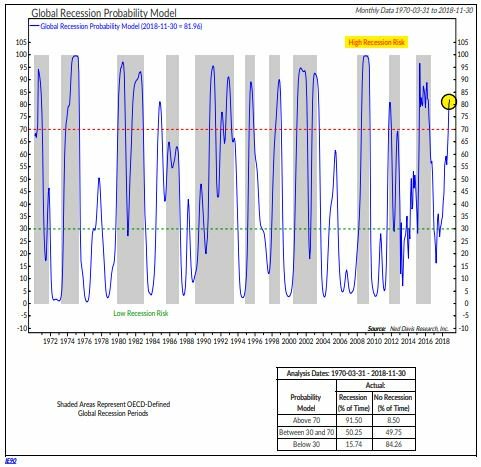 In the Chart of the Day, Ned David updates their proprietary Global Recession Probability Model and as you can see recession risk on on the move up. No wonder, volatility in stocks has risen!